Well, it looks like we have another chance to try out 1More products, so I’ll go with the Multi-Unit Ear Headphones. Unlike the Triple Driver that I reviewed yesterday, this one is a dual driver. I’m told that they have a patented triple layer diaphragm constructed with aerospace-grade metal for high resolution sound and balanced frequency ranges. 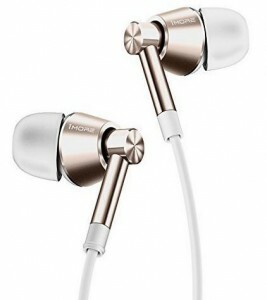 That is similar to the Swarvoski crystal earbuds that I reviewed two days ago. 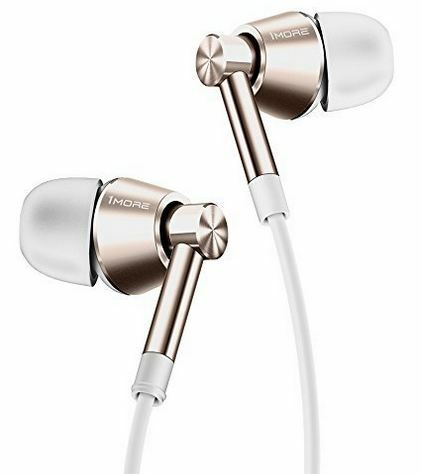 So, yes, there are a lot of similarities between this pair of earbuds and the other two that I mentioned before. For example, it is designed in collaboration with that Grammy Award winning mixer Luca Bignardi, plus it has that intelligent control technology with both Apple and Android devices. Oh, and it has that oblique angle for precise ergonomic design. I would say that the sound is the same, but honestly, my ears aren’t fine-tuned mechanical instruments. So I’ll just go with what they say: “achieve full-freqeuncy range by combining a dynamic driver for powerful bass and a balanced armature for refined mid range and treble”. Yeah, that sounds about right. Well, tomorrow, we are going to review some actual headband-type headphones. You can purchase it at the 1More site and Amazon for about $79.99.